This past week has been rainy and very dreary. So I've been feeling kind of down. So I decided to find my smile where I can. 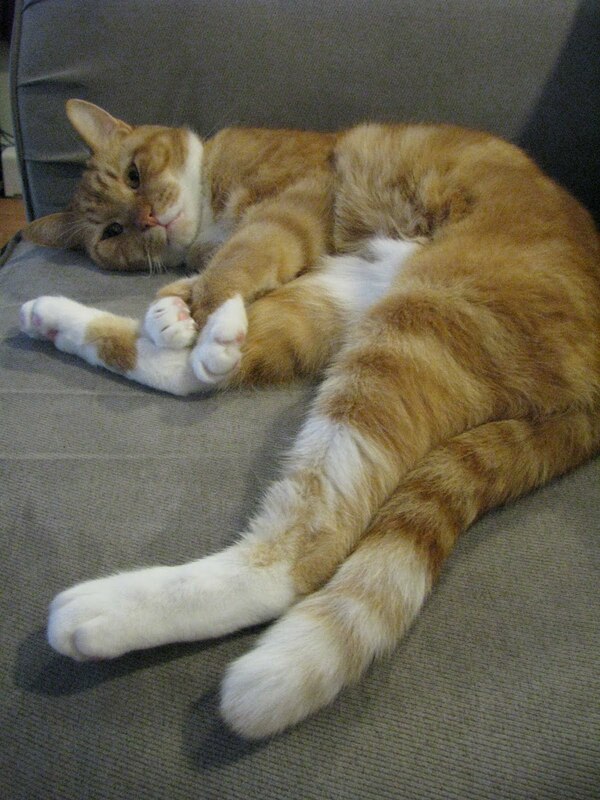 The first photo is a fun picture of Pumpkin. The way he was laying there and looking at me just gave me a huge grin. He's so sweet. The next one is of my toes. 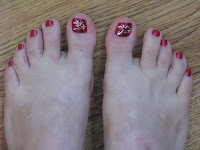 Normally my feet do NOT make me smile, but I really liked how this pedicure turned out. I always have them do a little artwork on my big toes. And really how can you not be happy after a pedicure? Now each time I look at my toes I smile a bit. 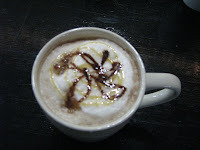 The next one is a picture of one of my new favorite coffees at my coffee house. It's chocolate, caramel and spiced brown sugar. 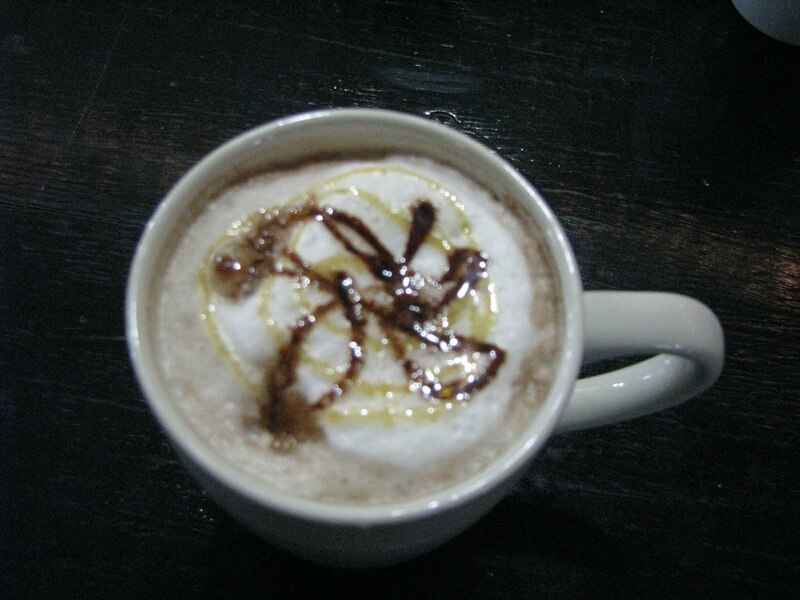 It's recently been named the Carm-olate Latte. Very yummy!! 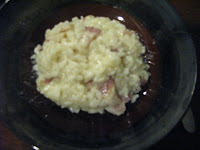 Then there's the Bacon Risotto that I made by myself tonight. My brother taught me how to make it and I'm just pleased that I remembered how to make it. Very tasty! And it's been a while since I've actually cooked for myself, so that made me even happier. I'd gotten out of the habit of doing this. Which isn't good for me. I need to take better care of myself. The last picture would be a glass of wine. 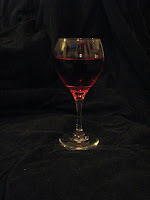 I'd forgotten how nice it can be to just sip on a glass or two of wine while watching TV. 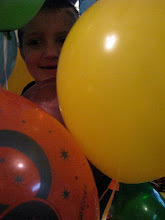 And of course this is one of my favorites. those are all very good things to do when you're not having a good day! i should have done these when i got that nasty comment on my blog. it almost ruined part of my day.